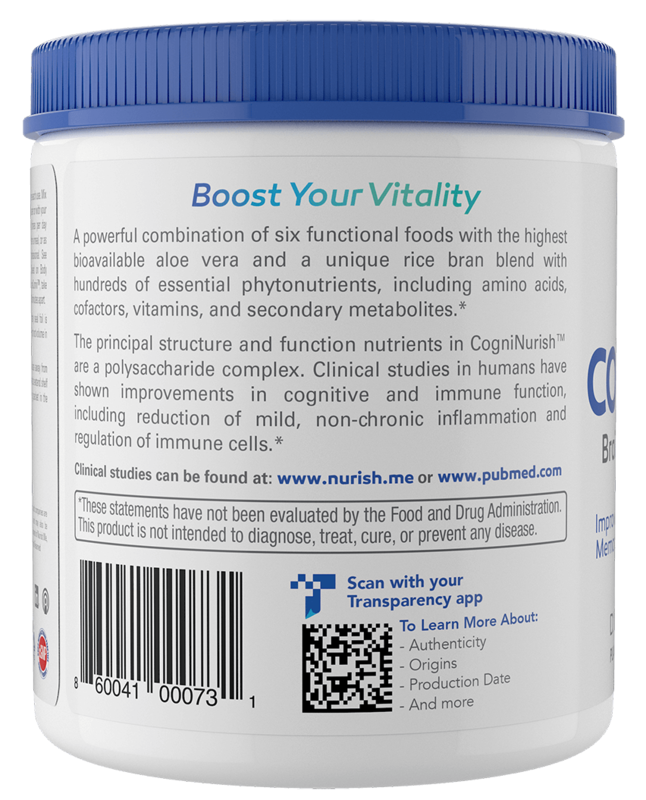 CogniNurish® is the result of many years of rigorously scrutinized, peer-reviewed clinical research to evaluate the effects of key nutrients beneficial not just for the brain and immune system, but for overall health. The end-result is the highest quality dietary supplement that comes in both an easy to digest powder and vegetarian capsules. 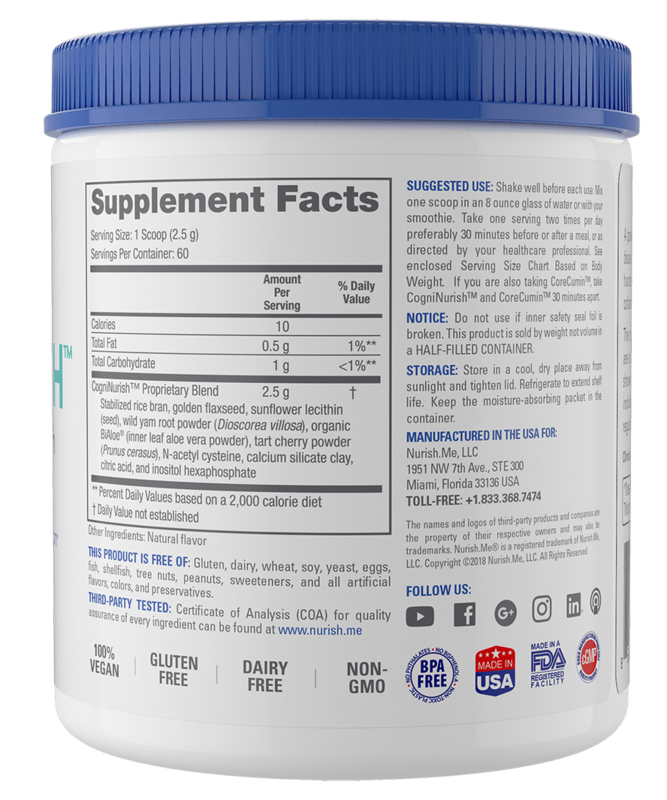 CogniNurish® is a unique blend of nutrients, phytochemicals, molecules, and polysaccharides that may be uncommon or even missing from the modern diet. In particular, BiAloe® is the most bioavailable source of aloe vera acetylated mannans (polysaccharides) that are known to be utilized in the metabolic processes of nearly every cell in the human body. Stabilized rice bran contains over 450 phytochemicals, more than 200 of which are amino acids, cofactors, minerals, and vitamins, among others, which have significant documented health properties. Golden flaxseed has sufficient amounts of the two true essential fatty acids: linoleic acid (the parent omega-6) and alpha linolenic acid (the parent omega-3), which are essential for life. Tart cherry is a nutritional powerhouse with a wide range of nutrients that are all important for our health, including the brain and the immune system. N-acetyl-cysteine is a slightly different form of the amino acid, cysteine, thus giving it antioxidant properties as it replenishes cellular levels of glutathione, the human body’s master antioxidant, which fights oxidative stress. Sunflower lecithin is rich in choline, which is necessary for brain and heart health, and other essential fatty acids such as phosphatidylinositol, which is important for our metabolism and the structure of all cells. Dioscorea contains several key nutrients and supports the synthesis and balance of hormones and may be beneficial for improving your cholesterol levels. Calcium silicate clay detoxifies substances such as aflatoxins, insecticides, herbicides, poisons, and heavy metals, without interfering with the utilization of vitamins and other micronutrients. Inositol hexaphosphate is a vitamin-like phytochemical that has antioxidant properties and also supports a healthy immune system. Citric acid is a key intermediary component of the citric acid (or Kreb’s) cycle, which occurs in cellular metabolism for energy production in the mitochondria, the engine of your cells and also bonds or chelates to minerals and metals, allowing the body to better absorb such molecules as calcium and potassium. 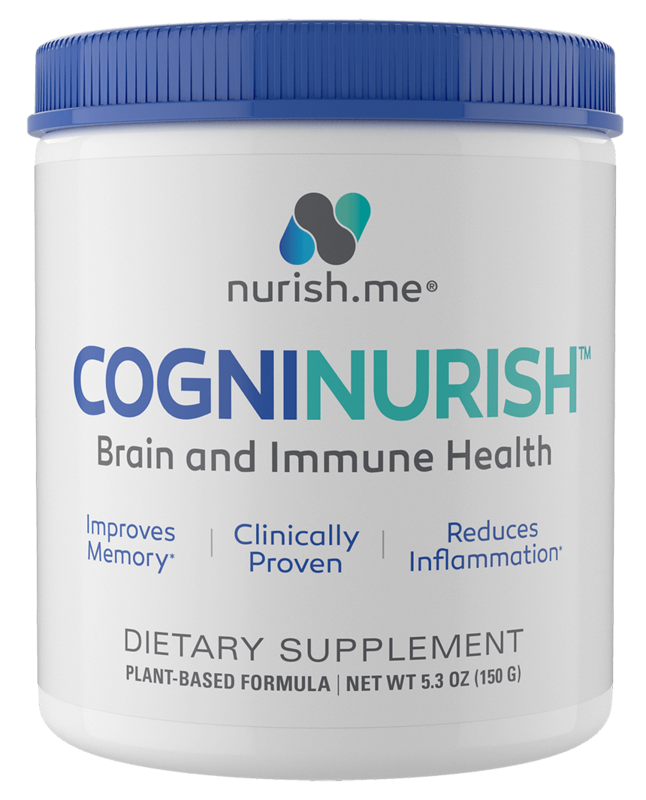 Thus, CogniNurish® is a safe and effective proprietary blend of ingredients with documented benefits for cognitive and immune system functioning. 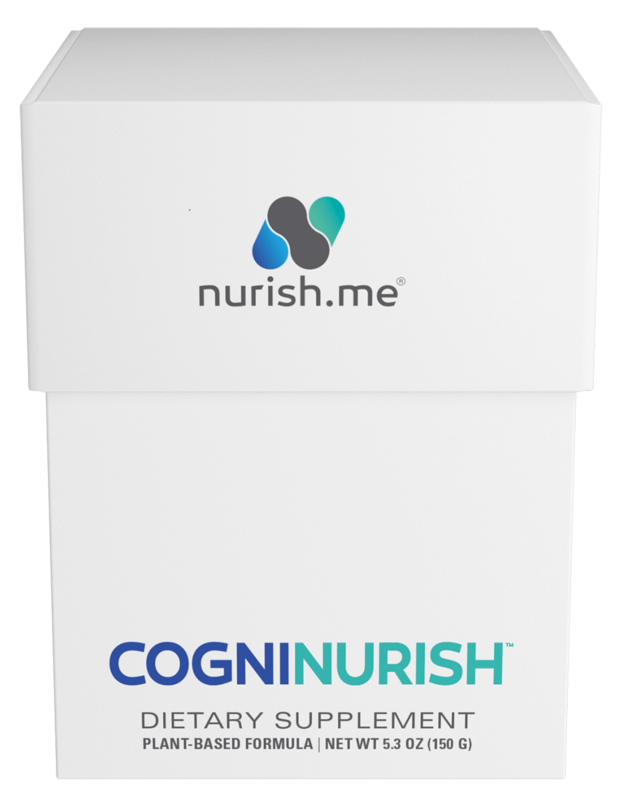 Once you start taking CogniNurish®, you may experience a whole host of benefits; what we call the “white box effect.” You may have an initial mild detoxing effect, but after that you may notice an increase in energy, deeper sleep, happier mood, more focus, sharper and better clarity, heightened awareness, and a better sense of overall wellbeing. CogniNurish® is also safe to take with prescription or over the counter medications and other dietary supplements. We are unaware of any adverse interactions. Combining CogniNurish® with CoreCumin® gives you broad overall support to maintain optimal health. I have been taking this product for some time now and have noticed benefit in being able to focus. Having struggled with a mental fog over the years I have found this product to be the first one to have generated a significant difference in the quality of my daily life. The science behind the product is reassuring. I am thankful for a team that is not after hype but after real, science-based results. I know more research will continue to be done. 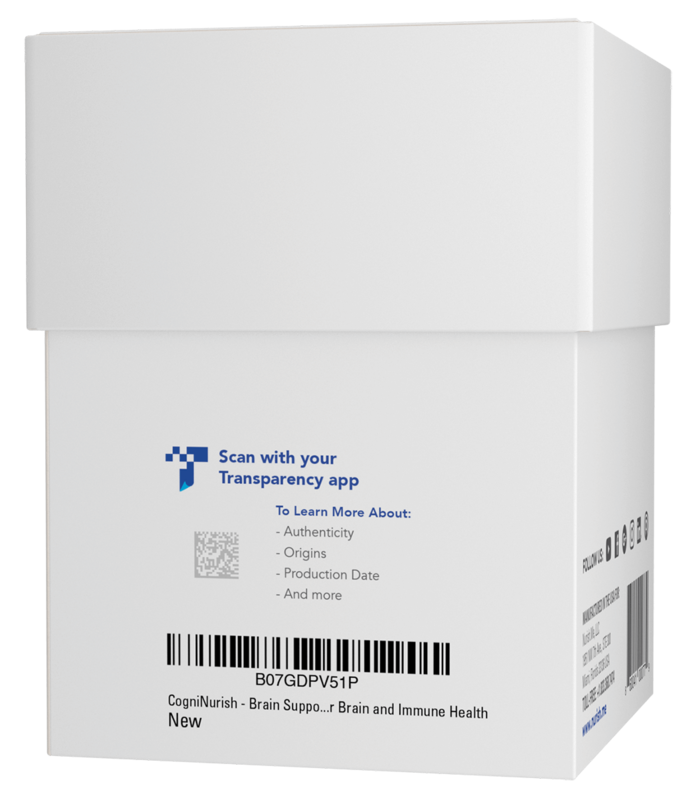 CogniNurish is a key component in the fight against Clinical Depression. This coming from someone diagnosed with this condition and having dealt with it for 20 plus years, my hope is that is goes mainstream as part of treatment for Depression. CogniNurish is fantastic. I noticed a significant improvement in my cognitive function as well as my ability to concentrate and to remember things. This product is new and is really innovative for this category. 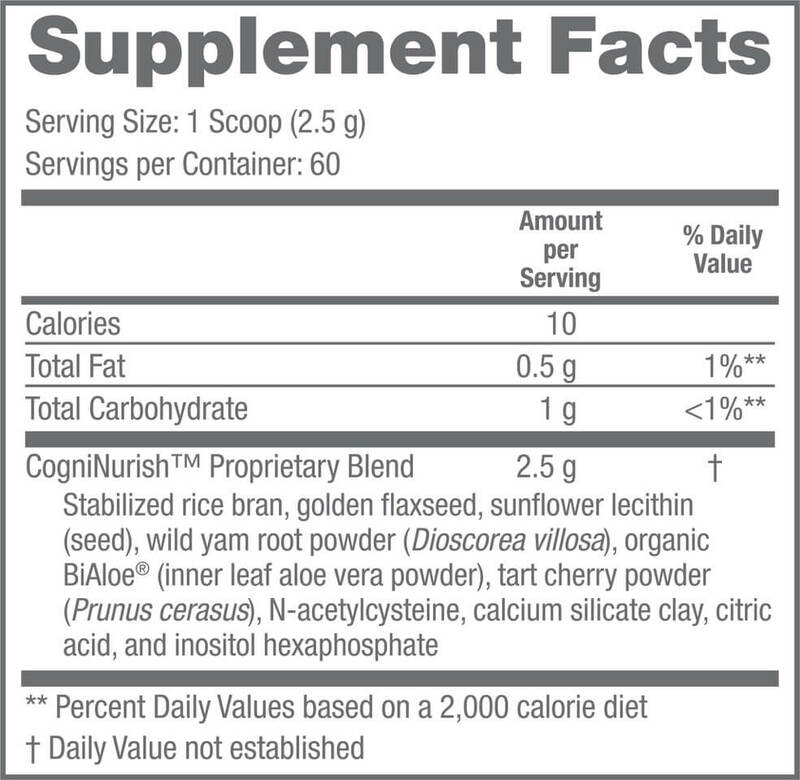 CogniNurish is a cutting edge, state-of-the art supplement for brain health. CogniNurish has been a wonderful and helpful addition to the daily intake and regiment of natural, health and wholistic care we have been giving to my father in law with Alzheimer's. The Nurish.me products have improved his mood, given him more day to day energy and generally is adding benefits in a natural organic way at a time when all anyone wants to give him are chemical drugs that dont work. I’m 80 years old and within a week of using CogiNurish I noticed a definite improvement to my memory. I was much sharper and did not have to struggle remembering names, or tasks. My wife complimented me and started using it as well. I bought this product for my elderly father after a friend told me about it. It helped him out tremendously in many ways. First I found he was sleeping much better and more soundly. Not waking up so often during the night. He said he felt he could focus better and had more mental clarity . Overall it gave him a better sense of well being. I highly recommend this product. I am taking one scoop of CongniNurish Powder every morning. Although I do not have any scientific data, I feel my brain function works better. A certain piece of information seems to come to my mind when needed. Thank you CongiNurish for giving me this function. I strongly hope I can keep my brain function proper even as I get much older! I am an active 73 year old women since I have started using Coginurish in my morning cereal I have found new levels of energy and clarity in my thoughts. I can’t explain why but I just feel better.